One Raffles Place kicks off the Chinese New Year festivities with exciting activities taking place under one roof. 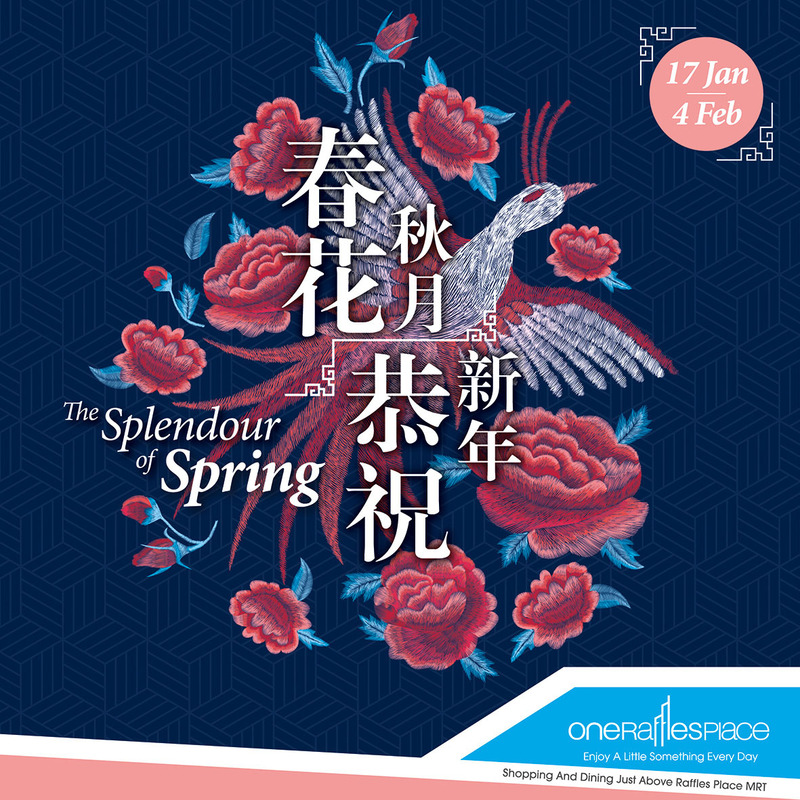 Happening from 17th January to 4th February 2019, shoppers can experience The Splendour of Spring and usher in the New Year with good luck and prosperity. Meet the God of Fortune – Master Bro Alec Chia, one of Singapore’s renowned Geomancer and Numerologist, at One Raffles Place as he roves around the mall to spread good fortune to everyone by distributing lucky candies to kickstart an auspicious new year. For those curious to know what 2019 has in store for them, they can read more about their fortune at the Forecast Your Fortune exhibition at levels three, four and five. Master Bro Alec Chia will also share in-depth about the zodiac’s predictions for 2019. The Lunar New Year celebration is not complete without a high-energy auspicious lion dance performance and Cai Qing which has been performed for thousands of years in Chinese culture. Shoppers can look forward to the performance by the champions of the Ngee Ann City National Lion Dance Competition 2018 and be awed by their acrobatic skills. The festive excitement does not end there, as prosperous rewards await shoppers at One Raffles Place! All they need to do is spend $88 to receive a pack of exclusive Ang Baos or $288 to receive a $15 gift voucher. Shoppers can also receive an additional $5 voucher when they dine or shop at levels 3, 4 and 5. Shoppers can double their winning chances and stand a chance to win $30 gift vouchers when they take part in contests on One Raffles Place Facebook and Instagram pages. For more information, please visit www.onerafflesplace.com.sg.